Google Search Console Page Filter Throwing Off Accuracy Of Numbers? Home > Google News > Google SEO > Is The Google Search Console Page Filter Throwing Off Accuracy? 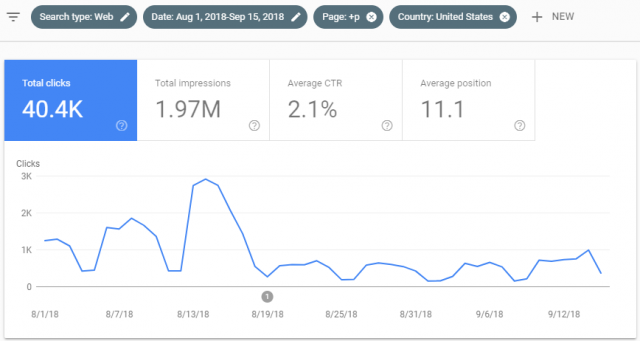 There are some savvy SEOs and webmasters that are noticing a possible bug with the Search Analytics/Performance reports in Google Search Console. This is specifically when you use the page filter option, the numbers significantly drop both in the Google Search Console interface and within the Search Console API. We looked into this w/the team but don't see any bigger patterns there. Subtle side-effects might be visible in certain scenarios, but given the lack of other complaints, this seems more of an edge-case (I wish I had a better answer, but I don't think there's much we can do here). That is an interesting response from John. I'm seeing the same issue across multiple sites within both the API and the main GSC interface (I assume this is the same issue). 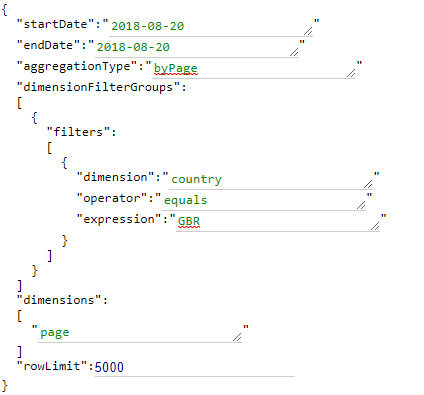 As soon as "page" is added as a dimension within the API query, the totals drop. I've based this on clicks, but I assume the same is the case with impressions. 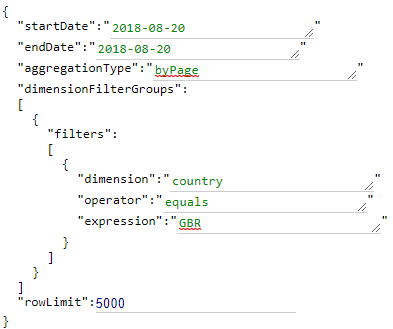 Using the API explorer, the following two query requests return very different totals. In addition, I believe this can be replicated in the main Search Console interface - below are two screenshots from one of my clients' properties - the first with no page-level element, the second with a 'page contains' filter - I opted for the single letter 'p' here because this GSC property is for a subfolder beginning with that letter - so the reverse 'page not containing' filter returns no data. Mark added "The impact of this is extremely severe - it means that any time-series analysis conducted on a range that begins prior to 19th August and ends after that date is distorted. This means that any attempt to understand trends in the data is fatally undermined. 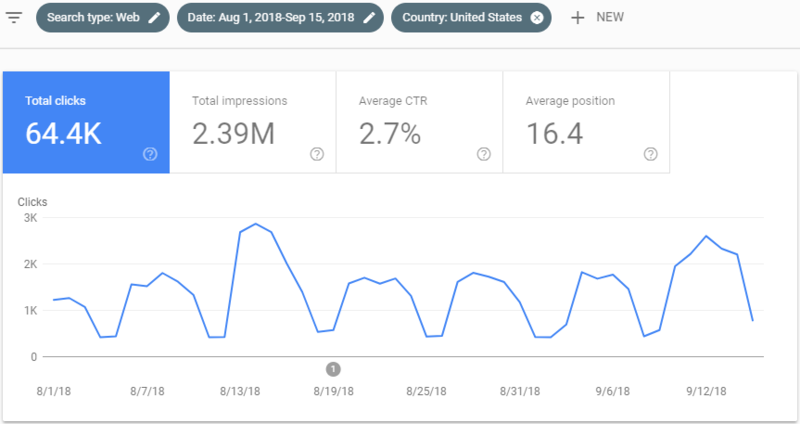 In addition, it means that data after August 19th is heavily sampled - >35% in one example I've seen - to the point where it's value is reduced." So this is all very interesting, espesially after all the confusion with the anonymous queries change in the reporting there.